《女人我最大》beauty guru 蓝心湄, Hair makeup expert吴依霖& Makeup expert小凯老师 will be coming to Malaysia to meet the Malaysia fans and share the beauty secrets. 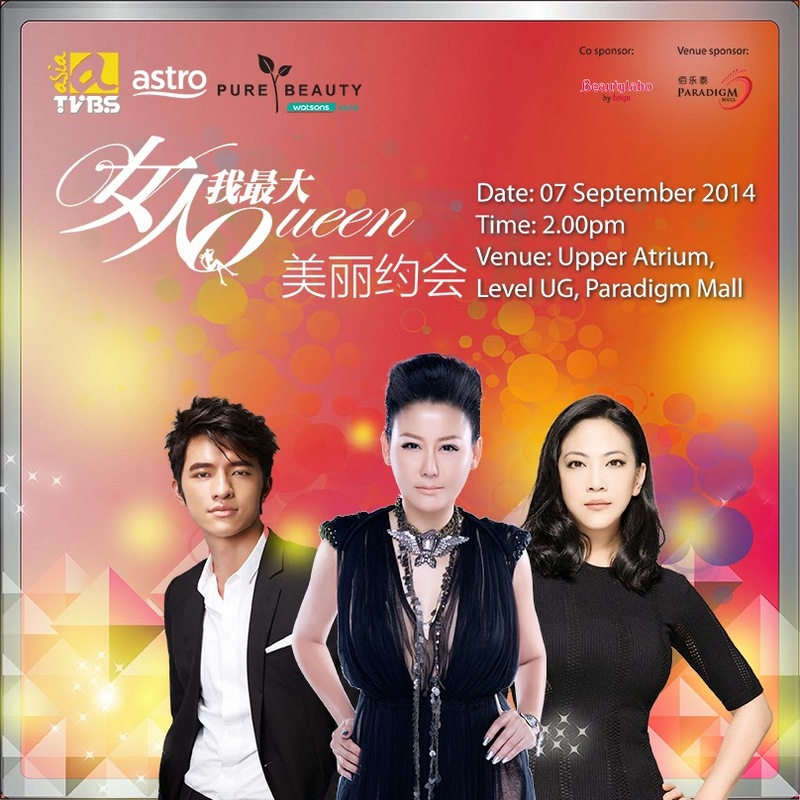 Pure Beauty, Watsons 独家销售as main sponsor, Beautylabo Whip Hair Colour as partner sponsor, Paradigm Mall as venue sponsor, “女人我最大之美丽约会”，will be held on 7th September 2014 (Sunday), 2pm, Paradigm Mall, Petaling jaya. The most exciting part is, 小凯老师& 吴依霖老师 will be teaching some skills in makeup and hair makeup through their workshop session. It will be held for approximately 1 and a half hours and the audiences on the floor can also stand a chance to ask them questions. In addition, 4 of Astro本地圈 female artistes黄之豫, 吴胤婷, 曾洁钰& 陈雪芬 will also be there at the event. Besides, they will also be having games and interaction sessions with the crowd. If you want to become prettier and more confident, then this is an event not to be missed!